Waco, Texas-This weekend the PBR and ABBI are invading the Extraco Events Center with action packed bull riding. The sport of bull riding is already heavily favored toward the bucking bulls-a 2000 lb bull versus a 150 lb man is usually an easy bet. Early Friday morning a cold front rolled through central Texas and put a little nip in the air. This blast of cool air put a little spring in the step of the bucking bulls. On Friday night the cowboys only managed to cover four bulls between the long and short rounds. Mexican bull rider Francisco Morales was the first rider to best his bull. Morales energized the crowd by marking 83.5 points on 071 “Traveling Man.” This was followed up by Tyler Taylor’s 82.5 point ride on 3379 “Southern Justice” and Brant Atwood earning a 84.5 points on his re-ride bull. 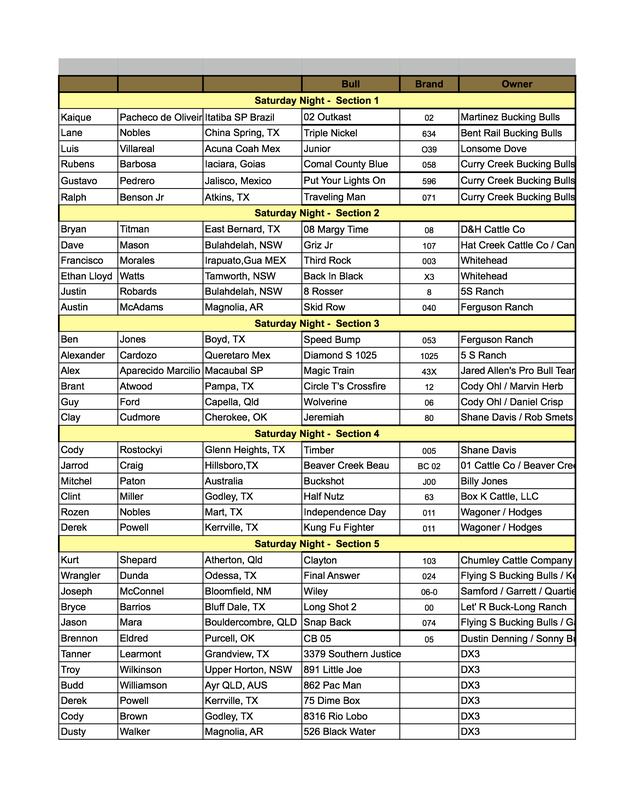 The 10 head short-round, dedicated to the memory of Kent Cox, was completed with riders that qualified based on their time. Brant Atwood was the only rider to cover in the short round. Atwood made some great “cowboy” moves on his way to an 86.5 point ride on Currey Creek Mafia’s 620 “Blonde Bomber.” Unfortunately, after coming down off of “Blonde Bomber,” Atwood was stepped on in his mid-section. Atwood was conscious, but was transported to a medical facility for examination and observation. We will provide an update as soon as we receive more information on Atwood’s status. Don’t miss out on the action for night two of the Heart of Texas PBR presented by Waco Motorsports. The show starts at 7:30 p.m. More information is available HERE. This entry was posted in Bull Riding, Diamond Cross Rodeo, PBR. Bookmark the permalink.